In the last decade, more and more people eat organic food which can be easily found in most supermarkets. Natural cosmetic and “green” cleaners have also become incredibly popular. But did you ever think about chemicals in your clothes? Did you hear that some clothes can affect your health long-term? For example, you decided that it’s time to take care of your health and change your lifestyle. What is usually done in such cases? We attend dieticians, adjust our diet, undergo tests and examinations, arrange various cleansing procedures, become fitness club members, start to eat vegetarian food and take vitamins. But rarely anyone thinks that it’s worth paying attention to the fabrics that are in continual contact with the skin. Probably, like most people I never gave it a thought until I got a gift – a comforter, which label said that it was made from 100% organic cotton. And I started to ask myself – is it important? Why is it good? We live in “a material” world. Fabrics are everywhere. Look around – your clothes, linens, furniture, curtains, car interiors made with some kind of fabric. But our “material” world is far from ideal. What are the most common fabrics of our life? Polyester, acrylic, acetate, nylon and rayon. If you look at labels, you will be surprised just how many products in your life are made from synthetic fibers. Underwear, shirts, dresses, socks, pants, skirts, pajamas, bed sheets, pillow cases, mattresses, upholstery, curtains, carpets, not to mention diapers and sanitary pads. Let me ask you – do you own an all-cotton bra? Silk pantyhose? Wool coat? I don’t. Our bras are fully synthetic now, pantyhose made from 100 % polyester, and coats are anything but wool. It seems to me that most popular fabric of our monster textile industry is polyester. And while scientists can’t say for sure that this man-made fiber is bad for our health, some concerns are rising. 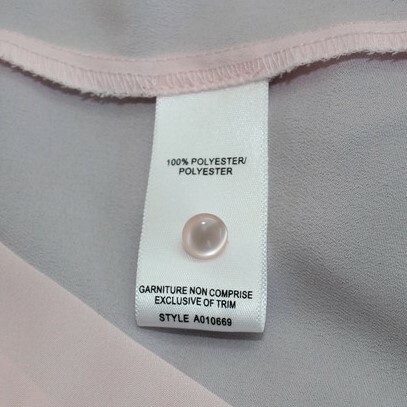 So, why polyester can affect our well-being? First of all, polyester like plastic and polyethylene is made from petroleum-derived substances. It is a pure chemical product of the oil industry. When I wear a polyester dress in hot summer day I feel like I am inside of a plastic bottle. Very uncomfortable feeling. Polyester is a polymer. A polymer is a chemical compound that is made of small molecules that are arranged in a simple repeating structure to form a larger molecule. The little molecules are called monomers. Polyester fibers are formed from a chemical reaction between an acid and alcohol. The most common type of chemical reaction used to make polyester takes place at high temperatures in a vacuum. This reaction is known as polymerization. The polymer material created during polymerization is extruded while hot into long fibers that are stretched until they are about five times their original length. 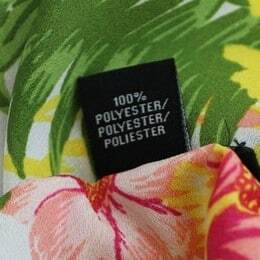 Polyester is the terminal product in a chain of very reactive and toxic precursors. Most are carcinogens; all are poisonous. You see, it sounds so “chemically”. And these chemicals touch the skin day and night and certainly, they may create problems like infertility, respiratory diseases, contact dermatitis and cancer. Toxic absorption increases even more with high temperatures and humidity. As of current times, data on the human health effects of synthetic fibers are sparse. 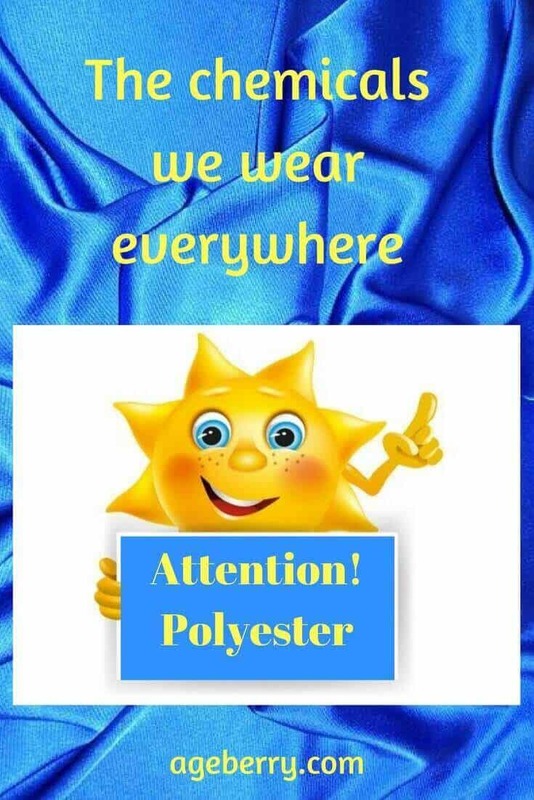 Not so many medical studies were done about polyester and our health. But I found results of some of them. In a study of 24 to 27-year-old men, natural linen long sleeved shirts were worn for five hours — and then polyester ones were worn for another five hours. Their arms were monitored during both, with electrodes measuring skin temperature and velocity of the men’s muscle tissue. No changes were measured when they wore the linen. But when they donned polyester they endured a range of muscle disruptions. The study showed that polyester fibers cause muscle fatigue. Polyester is known to cause contact dermatitis like rashes, red marks, itching; my own mother-in-law was highly allergic to polyester. Can you imagine being allergic to your clothes? Well, it is happening in reality. Though many natural and eco-friendly materials can cause an allergic reaction in people with sensitive skin, synthetic fibers and especially polyester are the biggest offenders. Polyester like other synthetic fibers (nylon, acrylic) generates and then holds on static electricity more than other materials. Of course, all fabrics have some tendency to build up a static charge especially if the air is dry, but synthetics are particularly “good” at it. And it is not really healthy to wear clothes that crackle and spark of static electricity. Electrostatic charges accumulate more in synthetic clothing. For half a century now nearly all fabrics including natural fibers also contain toxins like formaldehyde, brominated flame retardants, and perfluorinated compounds. Why? To make clothes, upholstery and linens wrinkle resistant, water and fire-proof, mildew resistant, anti-static and anti-shrink. All these chemicals are extremely stable and can be stored in human bodies causing several types of tumors and neonatal death and may have toxic effects on the immune, liver, and endocrine systems. Formaldehyde is linked to a 30% increase in lung cancer. And I heard that there have even been lawsuits alleging high levels of formaldehyde in Victoria’s Secret bras. Fabrics are also treated with toxic to the human body petrochemical dyes, bleach, detergents, and softeners. So, what can we do to reduce this toxic load on our bodies? The answers are not so simple. Let me tell you one old joke. “If you sleep on your back it is bad for your lungs. If you sleep on your stomach it is bad for your face. If you sleep on your right it is bad for your liver. If you sleep on your left it is bad for your heart. But we wish you a good night!” The joke is right – practically everything is not healthy or safe at some point. Still, some choices are better than others. First of all, try to move to natural fibers with your clothing – cotton, silk, wool, and linen. They have always been around and we know from a long history that they are relatively safe in their natural state ( i.e. not treated with other chemicals ). And if you care about the health of your family, then it’s worth to learn more about the special properties of natural fabrics. Of course, natural doesn’t equal better in all circumstances. Some people are allergic to natural materials, especially wool. Among natural fibers cotton is most popular and affordable. Cotton is very comfortable to wear, it is usually hypoallergenic, strong, has very good breathable characteristics. It conducts heat well – in summer it prevents your skin from heat, and in winter it preserves the warmth of your body. Cotton has high water-absorbing capacity. It is easy to care for because it is resistant to wear, washing, and the effect of light. It also resists pilling and moth. And people use cotton fabric for 7000 years! 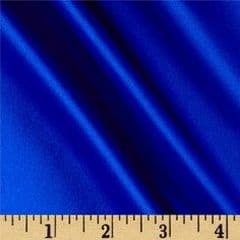 Yet cotton fabric wrinkles easy. That’s why manufacturers often combine cotton with polyester and put formaldehyde in it. Chemical dyes also can ruin cotton. Moreover, cotton fiber is made from plants which can be full of pesticides if they are not organically grown. The cotton industry relies heavily on fertilizers and insecticides, and of course, these chemicals can go to fabrics made from this cotton. Silk, linen, and wool are other natural fabrics we want to consider as an alternative to synthetic fibers. They are not very easy to find in our stores either and they are really expensive. I often see gorgeous silk dresses and blouses in big brand names stores, but their lining is always 100% polyester. So what is the point to wear this? Synthetic is right on your skin and silk is just for beauty? By the way, artificial silk looks sometimes even better than natural – it is wrinkle resistant and really shiny. So, to me it would be more logical to make a lining that touches the skin from pure silk and the dress itself from polyester. But as I said I see the opposite all the time. It was only once when I saw a lining and the dress both made from 100% silk – it was a Gucci store though. I noticed that selection of clothes made from 100% linen and wool is a little bit wider than made from organic cotton or natural silk. As a rule, we recognize linen clothes on a person from afar. The characteristic wrinkling and “sacking” (I mean it often looks like you are wearing a sack, right?) unmistakably suggest – it’s linen. But, if you understand and accept these properties of linen fabric, then the rest are solid PLUSES. So, people wore clothes from linen more than five thousand years ago and still wear to this day. Moreover, such clothes belong to the luxury and expensive style. And it’s not just because of the complex and long process of making fabric from the flax stem, but also because of characteristics of clothing made from it. The strength of flax thread is twice as high as cotton and 4 times as wool. Of all natural fibers, flax is considered to be the strongest. So I can say that linen clothes last forever. Flax, especially unbleached, has bactericidal properties. So clothing made of flax is good for your body. Also, experts say that linen clothes reflect UV radiation. In hot weather, linen fabric creates a feeling of coolness. Linen is always cool to the touch. This is caused by the structure of the fibers and its thermal conductivity (in linen it is 5 times larger than that of wool!). Studies showed that people dressed in linen clothes sweat half than those who are in cotton, and the temperature of the body under linen clothes is a little lower than under clothes from other fibers. This – and also its reflective properties – make flax the most pleasant fabric for hot summer weather. Linen is hypoallergenic. Therefore, doctors advise people prone to allergies to wear linen clothing and use linen products in everyday life (towels, bed linens). I believe that clothing made from linen is very beautiful. Perhaps the main distinguishing feature of linen clothes is simplicity. Simple, natural colors, simple pattern lines, loose cuts – that’s what attracts me. I know that not everyone will agree with me: not everyone likes its wrinkles or its sometimes uneven texture. Some simply do not like linen for being difficult to iron. 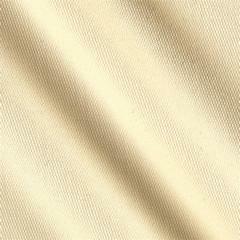 Some people do not like the price of linen: after all, good linen clothes are much more expensive than cotton. Now a few words about pure wool fabric. Garments made of natural wool are also not cheap. Consequently, wool is considered a luxury fiber. Since ancient times, natural wool has been used to produce clothing that protects people in the cold season, keeping dry and warm, allowing the skin to breathe. In our wardrobe, there must be woolen things that keep us comfortable in cold weather. Even a thin wool jacket adds a lot of warmth. But wool is good not only because it gives warmth to the body. Since wool is a natural material, the benefits for the body are obvious. Wool is extremely versatile material. Jackets, suits, coats, pants, sweaters, gloves, hats, socks made from natural wool are durable and comfortable to wear. Wool fabrics range from thick and coarse (for coats and other outerwear) to very lightweight and soft to the touch. Wool is naturally water resistant. Light rain or snow will stay on the surface or run off the fabric. Wool fibers are highly absorbent and can soak up around 20% of their weight in water without feeling damp or clammy. 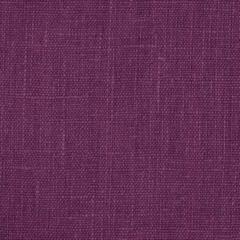 Wool fabrics are very durable and flexible. Wool does not wrinkle much. It is resistant to wear and tear. So, if you are committed to a healthier lifestyle, pay attention not only to your food but to your clothes also. If you can – buy chemical-free organic cotton products, especially for clothing closest to your body – underwear, sleepwear, t-shirts, socks. But here comes another problem. We can find organic food and organic household cleaners in every supermarket, but where to find organic clothes and bedlinens? Shopping for them is practically a nightmare. I wanted to buy 100% organic cotton socks for my family. Not only I didn’t find socks from organic cotton, I got really exhausted from trying to find just 100% cotton socks. It seems they just don’t exist. The best I could find in stores were socks with 85% cotton and 15% polyester. And what is more disturbing, kids socks I found were made only from poly without even any cotton it. Yes, polyester socks are strong, they don’t break easily. But I don’t feel good in them. Feet are getting wet and irritable after a while and odor is pervasive sometimes. 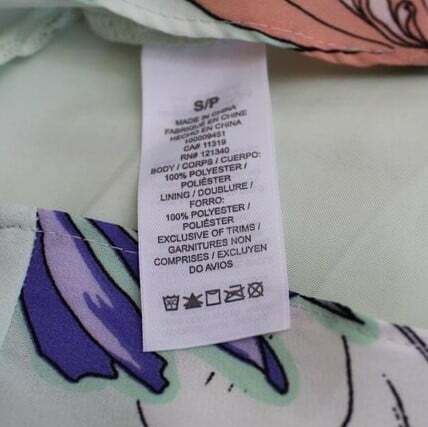 I advise you to look at the labels on any new clothing or bedlinens before you purchase. 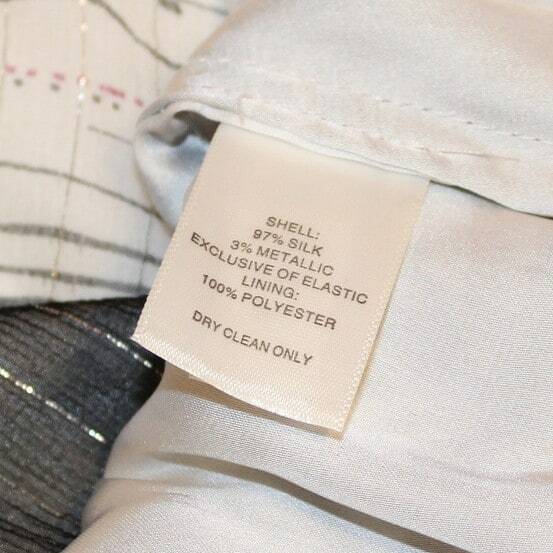 I am sure many people never read text on tags where it is written what fibers were used for the garment. 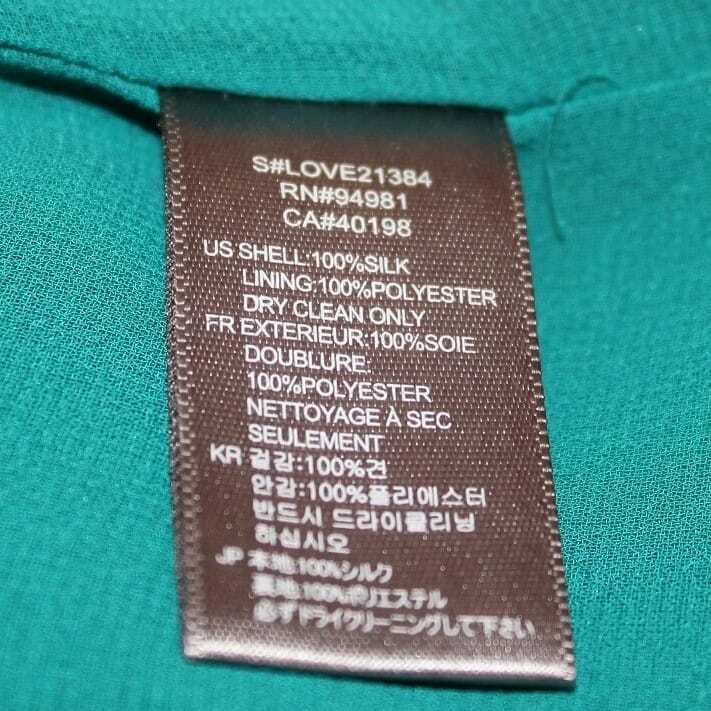 It seems to me most people use labels just to see where is front and where is back of the garment. 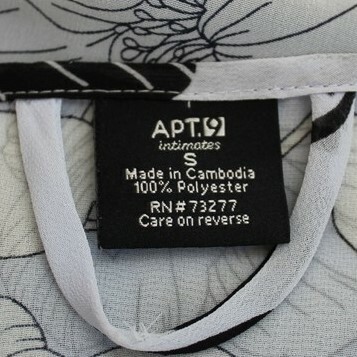 Often labels with information about the fabric the garment is made from can be found in left side seams of the cloth. I think as of a current time it is easier to find healthier clothing online. I don’t say that we have to move back to caves and drop all plastic usage. But I hope you will use the information in this article and create your new wardrobe full of quality garments. As for me, I make my own clothes: dresses, blouses, skirts, even underwear, and coats. And for some time now I only sew with organic and natural fabric. If I make garments with lining I use ONLY 100% silk fabric as lining. I never saw organic cotton for sale in any retail fabric store, but there are some online stores that sell organic cotton. 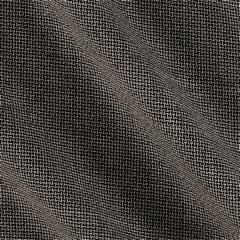 For example, at the www.fabric.com prices are affordable and the choice is quite big. 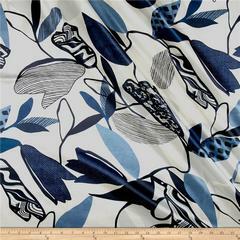 Look at these images of organic cotton fabrics below. 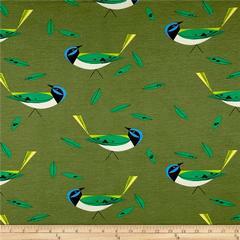 Are not these organic cotton fabrics adorable? There is so much more to choose from. I even became an affiliate with this store. 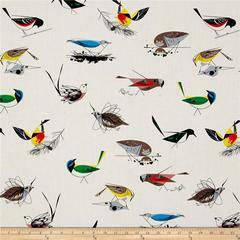 So if you click on these images and buy these fabric or any other you like I will get a small affiliate commission. 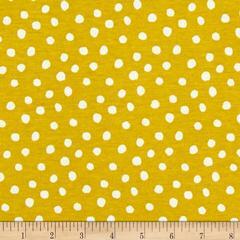 The store carries not only organic cotton fabric but also all natural fabrics (silk, linen, and wool). Here are some examples of what I really like. These ones are on my wish list now. Or, if you are already hooked on sewing check out these easy sewing projects made from 100% silk. Do you know somebody who would benefit from information in this article? Share it with your friends on Facebook, Twitter or Pinterest. Great article, Olga! Very well researched! I am glad you liked my article. I plan to post soon 5-7 articles about sewing with natural silk fabric. I am also planning to make the change to sew only using organic fabrics. I love sewing coats and there are a lot of organic wool available online but I find it challenging to find organic fabric that is suitable for lining. I use to sew with Bemberg lining, which is easy to sew, durable and feels nice but it is chemically processed. So I am considering 100% silk lining. 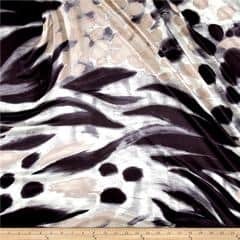 What is your experience like using silk as a lining? Does it tear easily? I’m mostly interested in durability. Have you tried using other organic fabric as lining such as lightweight cotton etc? 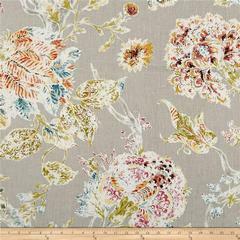 I would like to find as much option as possible for organic fabric suitable for lining. I used pure silk lining for my coats and jackets many times. 100% silk is a natural fabric but not really fully organic if natural dyes are not used, actually, I never bought organic silk before. 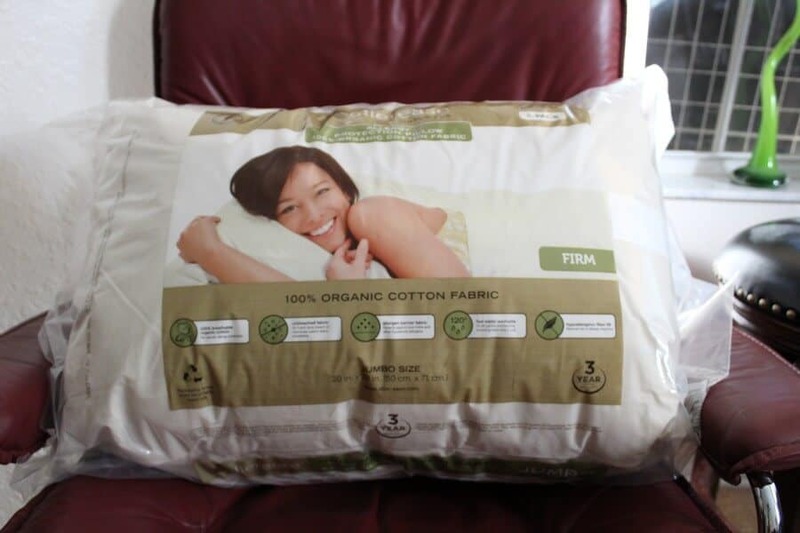 Organic cotton are the most popular certified organic fabric. But I really like to use natural silk fabric (even it’s not fully organic). I bought pure silk Habotai in New York and used it as lining for dresses, jackets and skirts. Yes, it tears easily. I wasn’t careful and have now a tear in my one of my dresses but jackets and skirts are holding well for a few years already. I have a conclusion that tight-fitting garments with pure silk Habotai lining are a no-no. But for some clothes I used silk Satin as lining and it doesn’t tear at all (it’s more expensive though) and makes my jackets warmer. I also used silk Shantung as lining for one of my coats and it didn’t tear. I really hate polyester lining. Natural silk is so much better. As for lightweight cotton as lining – yes, I used it also, it was double gauze cotton (it’s stretchy woven fabric), it worked well for my cotton twill jacket but I had to prewash it to avoid shrinkage. I bought recently some organic cotton fabrics from fabric.com and I am very pleased with their quality and plan to use some of them as lining as well. I respect your use of only organic fabrics, but most of my life I lived in California,and I was able to buy natural organic cotton clothing.I had bad experiences with it.I bought a very pretty organic hand dyed cotton jumper from a store,and it looked wonderful and was cool.The problems came when I tried to take care of it. I followed all the instructions to the letter when I washed it. All the dye ran so badly, there was no way to redeem it.It was a responsible store,but it made no difference.- washing it according to real instructions ruined it. –you just could not re-dye it. After that I was more careful. However, I got tired of having problems very often with “non-commercial” organic cottons and natural dying methods. It was safer, nicer,and then it did not hold up often. And I was paying more money for it. I also found out that all the “natural organic cotton jeans” that were treated,although they were natural organic cotton, were so badly treated, to get their “effects” that they were creating huge environmental problems. That I really did not like. I now shy away from “knit fabrics” to sew,cause the more complex and troublesome the fabric, the more trouble it is to handle and wash ,clean,and sew with. And many organic fabrics are so unpredictable, I stopped spending the money on them. If I wanted to wear decent dresses,I had to start copying old patterns I already had,of old clothing,and just use my measurements. It has worked pretty well, but let me tell you, it is not easy. Unless you are a dedicated very good sewer, or you have a friend who is,and can help you, it is hard just to replace socks made commercially. I still cannot do that.I need to get “very fat yarn in socks”because my feet got old and very thin. I still cannot knit a real pair of socks,like my sister, cause she started knitting as a kid. Sewing was better, cause our mom sewed,and we learned a lot from her. I also do warn you about buying”only organic fabrics” ect. You cannot get the info. that proves they are organic. I tried.Those people will tell you anything, to get you to buy it. Plus, it is horribly expensive. I am retired. And, you have to be very careful you don’t wind up with those clothing experiences with organic cotton that I ran into. —shrinking of 100 percent cotton, and shrunken clothing, it gets to be a real pill.That is why so many people buy :”part cotton, part other textile.”Not all cotton. 100 percent cotton can be ok that is pre-shrunk. So it’s very easy to say,”only buy organic made fabric” but it is not always so easy to do. Or afford, or predict how the fabrics will act.Just a warning. I fully agree with your comments with the stipulation that I am using mostly natural fibers, not always organic ( who knows if silk is organic ? ). I would like of course to have only organic fabric, but that is not always possible. Most merchants pay lip service to “natural, organic, safe, etc” while the reality is often different and it is up to us to teach them to tell the truth. I am now wearing almost exclusively my creations ( some from patterns, some from modified patterns, some inspired from garments I have seen elsewhere, etc. ) 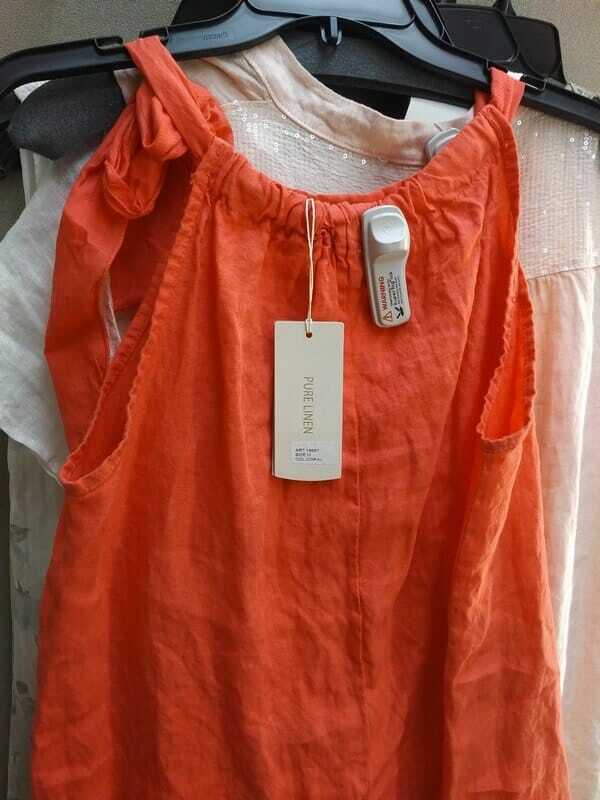 with the exception of some items that are abundant and cheap to buy, like simple t-shirts or blouses. And my skin tells me immediately if the label is correct or not, within one hour of wearing a bad material ( or badly treated, or dyed, not necessarily bad composition ), my skin screams for freedom. Jeans, that is a tricky issue, but at my age I do not wear them often so I can pretend the issue does not exist :-). Yes, sometimes the materials are expensive but not always. 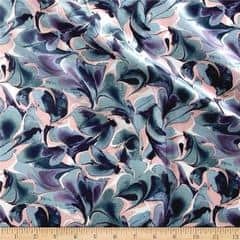 In one recent trip to New York I have found an entire store that was having a silk sale at under $10/yard, and sometimes trips to the local Goodwill store yield unexpected results. 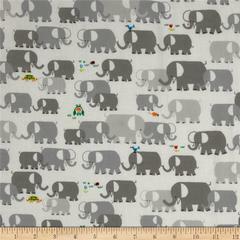 I always buy fabric when I find it affordable, very seldom I look for a specific color or print pattern. And sometimes I choose the dress pattern to match the fabric that I have, if I really like the fabric.